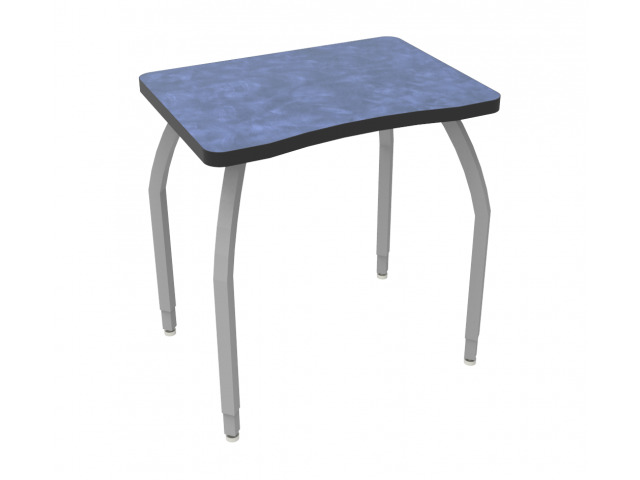 Your younger students can start off right with this great collaborative school desk. The inside edge is contoured for a more comfortable work experience. Working together is so much easier when students are seated at ELO Collaborative School Desks. A selection of innovative shapes accommodates classrooms of many different layouts and sizes. 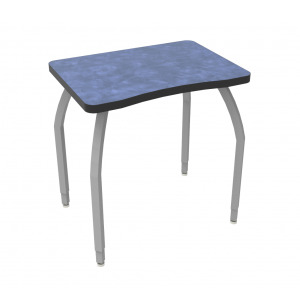 High-pressure laminate work surfaces, which are protected on all sides, support your students whether they are working independently or in small groups. 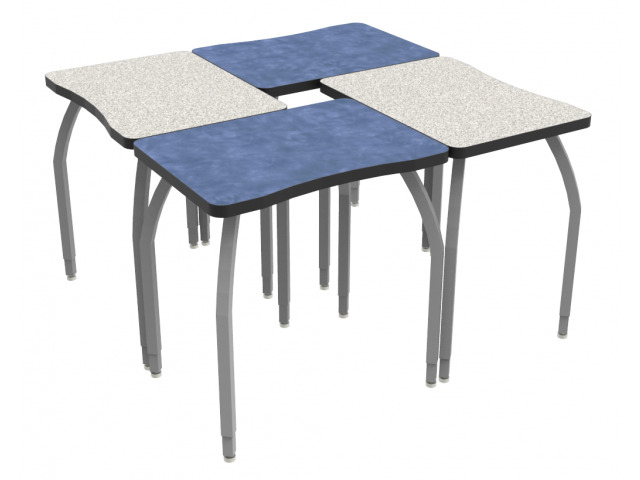 These collaborative student desks come in a selection of vibrant colors, which look especially cool when combined together in learning clusters. They are supported by tubular steel legs and sturdy mounting plates. The adjustable-height legs provide stability and maximize knee clearance, for a comfortable work experience. Junior Size: Height adjusts from 21-26"
Full Protection: High-pressure laminate work surface has 3mm PVC edges, and a phenolic backer sheet. Colorful Selection: Available in an array of vibrant and classic laminates. 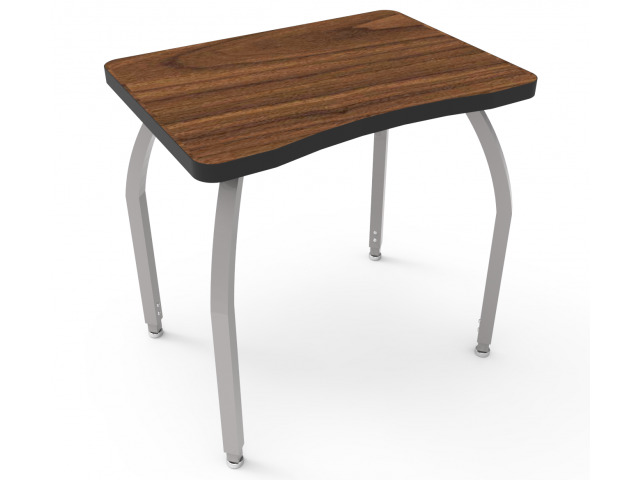 Strong Connections: The 14-gauge, tubular steel legs are fully welded to a triangular, 12-gauge mounting plate, which is secured to the desktop with metal-to-metal threaded inserts. Perfect Fit: Legs adjust in 1" increments via tamper-resistant screws, and are positioned to provide knee clearance and maximize stability. Stable Positioning: Stands on self-leveling, adjustable nylon glides.